Sometimes when you go out for a meal with a group of people the venue won’t do “Split Bills” (where each person can pay for their food separately). This can make it difficult for everyone to pay the bill at the end. 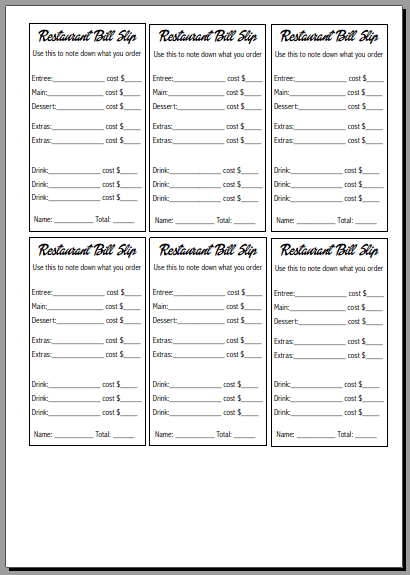 Using these bills slips when everyone is deciding what to order, means that the ladies can mark down what they will order and the price – so that they know how much their portion of the bill comes to, including all drinks and extras. Available as a sheet of 6 (includes entree) or a sheet of 9 (no entree). 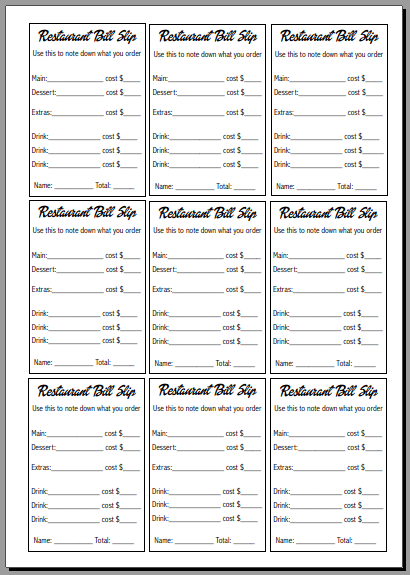 Click the image to download a printable file.